Our services are entirely confidential. Your records are protected as though they were our own. All information is stored in our company safe deposit box referenced only by your confidential client number. Equipment is password protected to ensure security. We do not discuss who you are or the contents of your property with anyone, period. 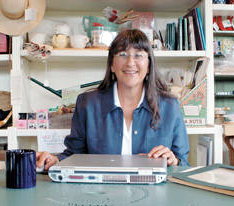 Sheila Leighton, the owner of Redwood Home Inventory has been a resident of Mendocino County for the past 25 years. She is an accounting and business management professional with decades of experience in small business and non-profit admninstration. She lives in rural Navarro, California. Please note: All images seen on this web site are the personal property of Sheila Leighton. Your information is never shared with anyone.